Organisation and time management are essential for school success. 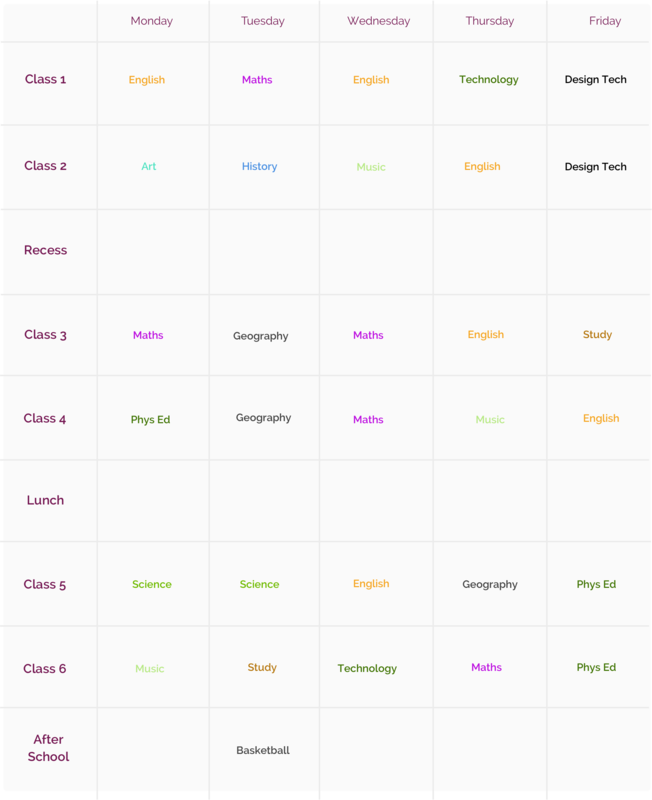 Once you or your child has their timetable, this Template will assist you to work out the best method of management. It could be colour coding, pictures or numbering subject areas. Transfer this same system to your folders, books, locker and to your home study area. The sample below uses a colour coding system.